Experienced Bellevue Attorney for Bankruptcy, Estate Planning, Business formations and more! Since I was raised on the East side, Bellevue and Kirkland have always had a special place in my heart. My best memories from my childhood include these cities and I am well connected within the Bellevue community. 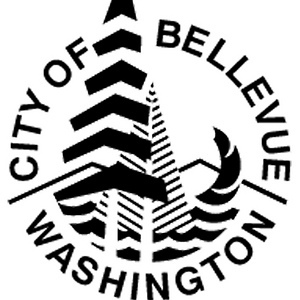 Bellevue is the fifth largest city in Washington, with a population of more than 126,000. While business booms downtown, much of Bellevue retains a small-town feel, with thriving, woodsy neighborhoods and a vast network of green spaces, miles and miles of nature trails, public parks and beaches. The luxurious yet small-town feel of Bellevue is one of the many reasons I love this town so much. Over the years of my practice, I have had many clients from Bellevue, WA. I always enjoy connecting and chatting about the beautiful city and its perks with my clients. I have represented corporations and businesses, assisted individuals in opening businesses and making their mark in Bellevue, WA. As a Bellevue bankruptcy attorney I have also assisted individuals and corporations file for bankruptcy in Bellevue, WA. As a Bellevue Estate planning attorney I have assisted individuals set up trusts and draft their wills and powers of attorney to protect themselves and loved ones in case of their absence. Considering we are only a short 15 minute drive from Bellevue, WA, we are a local business and law firm that has assisted many Bellevue natives. We pride ourselves in providing valuable and competent legal advice to our clients at a reasonable cost. We provide complimentary phone consultations and offer evening or weekend appointments. We are very familiar with the city and can offer valuable advice to business owners and individuals seeking to open or establish businesses in Bellevue, WA. We are also able to provide estate planning, bankruptcy, and tax advice to our corporate and individual clients. 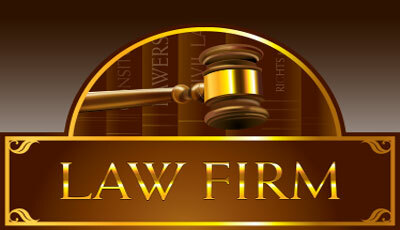 Try our Bellevue based law firm. Our Bellevue bankruptcy attorneys have helped hundreds of individuals and many businesses file bankruptcy. Our bankruptcy attorneys are very knowledgeable and compassionate and can competently advise clients on their options when it comes to debt and collection issues. Taking the step towards resolving one’s financial dilemmas by filing bankruptcy is a very brave step but can be emotionally charging. Our Bellevue bankruptcy attorneys have helped hundreds of clients file bankruptcy throughout the Bellevue and east side. We understand that this is a sensitive and difficult matter for our clients and we are here to help and ease the process. Our Bellevue tax attorneys have also helped many individuals and businesses with both federal and state tax issues. If the tax issue cannot be resolved in a bankruptcy we can competently advise on offers in compromise, payment plans and negotiations with the IRS, L&I and Department of Revenue. We understand how terrifying and time sensitive tax issues may be and are ready to advise our clients on even the most complex tax issues. We have extensive experience with tax and bankruptcy laws and can competently advise our clients so they can make the best informed decisions. Estate planning is an essential part of my practice and I have helped hundreds of people with their estate planning needs, Wills, Powers of Attorney, Healthcare directives and Special Needs Trusts and other forms of Trusts. I often get the question what is estate planning and when one should start the process? Estate planning is the collection and preparation of documents that serve to manage an individual’s asset base in the event of their incapacitation or death, including the bequest of assets to heirs and the settlement of estate taxes. It is your opportunity to choose who you would like to make decisions for you should you be unable to make those decisions yourself; and choose the people you would like to take care of your estate when you are gone. Most estate plans are set up with the help of an attorney experienced in estate law. At my firm, we have helped hundreds of people set up their estate planning documents. Estate planning is an ongoing process and should be started as soon as one has any measurable asset base or dependents. As life progresses and goals shift, the estate plan should move to be in line with new goals and be revised. Lack of adequate estate planning can cause undue financial burdens to loved ones (estate taxes can run higher than 40%), so at the very least a will should be set up even if the taxable estate is not large. Additionally, it is very important for new parents to start planning their estate so that they can protect their newborns. Estate planning can allow the parents to choose guardians for their minor children so that the people they trust and love can take care of them. Furthermore, parents can set up trusts for their children so that they are financially taken care of should something happen to the parents. Another essential part of estate planning is Powers of Attorney. A financial power of attorney will allow the people you trust and choose to make decisions for you financially and handle your finances should you be incapacitated or unable to while still living; think commas or disabilities. A medical power of attorney, will allow the people you choose and want to make important medical decisions for you if you are still living, but unable to make such decisions. This is crucial for most as it can alleviate a huge amount of stress and family dramas. It’s like planning to still be in control for when you know you are not going to be in control. We can also help you draft your healthcare directive which will list your medical wishes and tell your doctors what you want or don’t want happening to you should you be in a vegetative state. Our estate planning attorneys are qualified and knowledgeable to assist in deciding what is necessary and needed for you and your family.